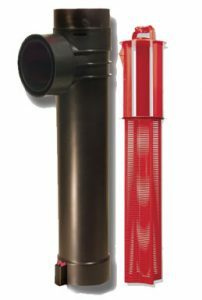 You’ve made a small investment in a baffle filter- an excellent way for a homeowner to extend the life of their septic system. Septic waste must be kept in the tank for your system to work as designed. A properly installed and maintained inlet baffle directs the incoming sewage downward below the liquid level minimizing disruption of the liquid and solid layers inside the tank. The outlet baffle prevents the scum mat and retained solids from entering the drain field. 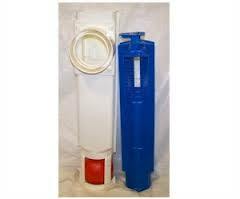 A baffle filter is installed in the Outlet baffle line on your existing septic tank. It requires NO electricity and minimum maintenance – and is an excellent secondary filter which traps the fine sediment from leaving a tank. With a minimum of 6 months to yearly maintenance, this filter will last for many years and extend the life of your existing system. 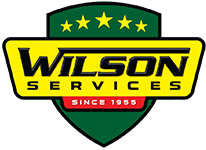 You, as the homeowner, may decide to clean this filter yourself, or you can contract with Wilson Services to clean your filter as needed. We recommend the filter be cleaned at the first six (6) month mark to assess the frequency needed for your usage of the system. Some families can extend their cleaning to yearly, while a standard family will need the filter cleaned on a six month basis. We clean filters for and additional charge and can set up a regular maintenance schedule for homeowners to handle this maintenance task just as we do regular tank maintenance. If you would like a contract to maintain your filter – it’s as simple as calling us to let us know you are interested in our filter maintenance plan. Call us today at 973-383-2112!